Follow this workout for 3-4 weeks. Request to follow @rushtushbodyweight on Instagram for videos and more pictures. 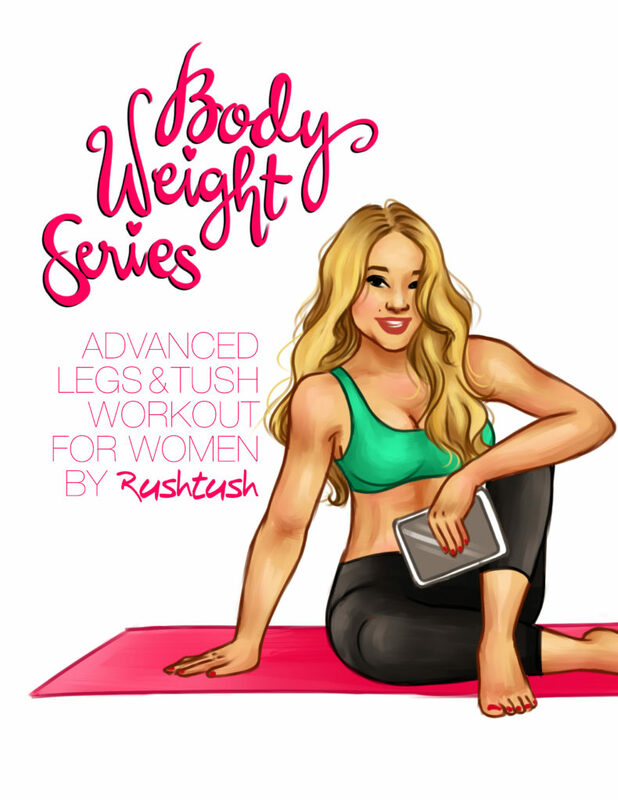 Bodyweight Series by Rushtush Pty Ltd was developed for women who want to gain confidence in their fitness and body and are unable to make it to the gym or don’t have access to a gym or are on vacation. It is also designed to compliment your weight training days and can be used for extra cardio resistance. The Bodyweight Series is based on using your bodyweight only, so you wont need any equipment. I recommend you follow the Phase of your programme for 3-4 weeks at a time, after which I believe it is most beneficial to advance onto the next phase of the series, it will prevent your body from adapting and plateauing. 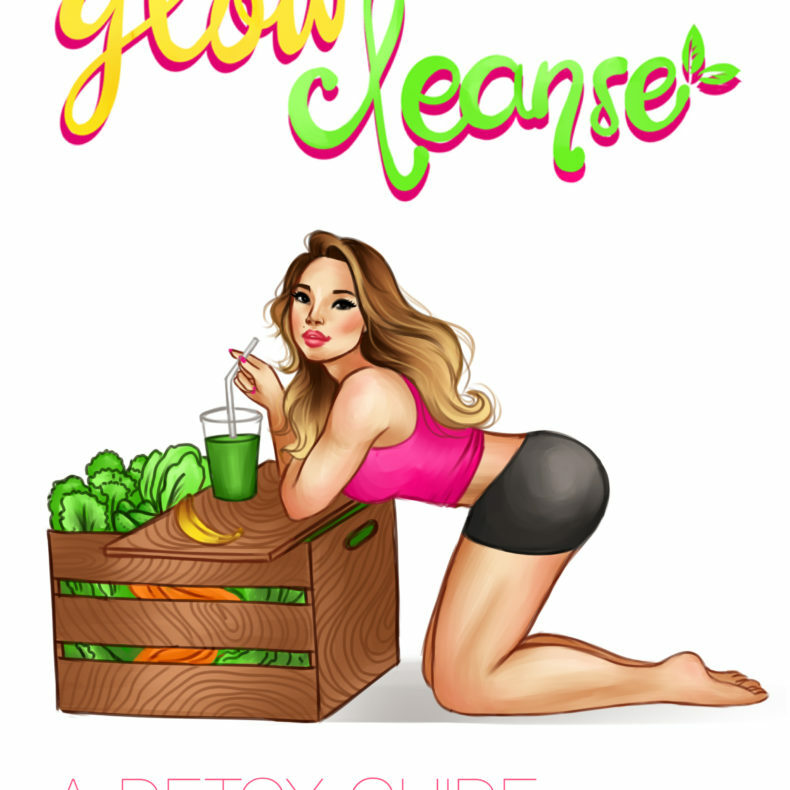 It is essential for optimal results that the body is continuously challenged in order for it to change and develop. Beginner, Intermediate and Advanced phases are all available for purchase separately and can fit any budget. It is a single 30 minute Advanced Legs & Tush (Glute, Quads, Hamstrings, Calves and Lower Back) workout using your own bodyweight, for you to complete in the privacy of your own home, outdoors or in the gym. Step by step instructions and exercises including your warm up. Hashtags; that can be used to search the exercises on an exclusive Instagram account: @rushtushbodyweight. If you are pregnant or seeking to fall pregnant or if you are under the age of 18 years old, I am sorry to advise to please refrain from purchasing Rushtush Pty Ltd programmes and ebooks. All programmes by Rushtush Pty Ltd are guidlines and by no means are medically advised, used to treat injury or cure disease. Use programmes at own risk, Rushtush Pty Ltd is not held responsible for any injury, damage and loss while using any programme.